We’ve seen a lot of money movies of late: Martin Scorsese’s The Wolf of Wall Street, Adam Mckay’s The Big Short, HBO’s Too Big to Fail and the excellent 99 Homes that honed in on corruption within the housing market. Jodie Foster’s Money Monster is closest perhaps to the latter in that it sympathetically champions the plight of the average Joe, but does so by taking a more reductive perspective on the evils that corporations, bankers and stock brokers do. Not specifically about the crash, it trains its sights instead on ‘the system’, being rigged as it is to benefit the lawless 1 percent. In a live television program called ‘Money Monster’ on a network that apes Fox News, Lee Gates (Clooney) advises viewers which stocks are hot or not – when to buy shares and when to sell them. He does so in the manner of Sean Hannity with a comedy wardrobe that he uses for hip-hop dance skits and the like. It’s deliberately painful to watch. The work environment is such that the show has a high turnover of staff – even his long serving director (Roberts) has had enough of him and taken a job with a rival network, without telling him. Today’s show is different however. This broadcast is interrupted by Kyle (O’Connell), who as a delivery man sneaks onto the set carrying a gun and an explosive vest loaded with Semtex. Taking Gate’s advice from a previous broadcast, Kyle had used all his savings to buy shares in a company called Ibis that immediately lost their value – and left him penniless. Forcing Gates to wear the vest and holding him hostage live on air, Kyle demands answers about what happened to his money. Although the film is contemporary, there is a distinctly ‘70s vibe to the energy and photography that recalls classic cinema of that period such as Dog Day Afternoon and, in particular, Network. The cast are all generally good – and it’s great to see Roberts on form again. She does a lot with what little she has to work with, which is mostly reacting to the unfolding events. However, it’s O’Connell (Unbroken, ’71) who steals it. Fired up and fullblooded, the young Derby lad continues to forge an impressive path through Hollywood. Sadly so far though, the films tend to be less deserving of him than he is of them. The film’s material is expertly handled; the overall sweep of the story is well structured (if doggedly conventional) and it is performed well. But yet crucial elements are lacking. The dialogue is didactic, often telling us what is going on and what is about to happen. The characters lack flavour too. They voice their thoughts out-loud – and while a cast and director of this calibre can (and do) still make a scene fly, they can’t make it soar. 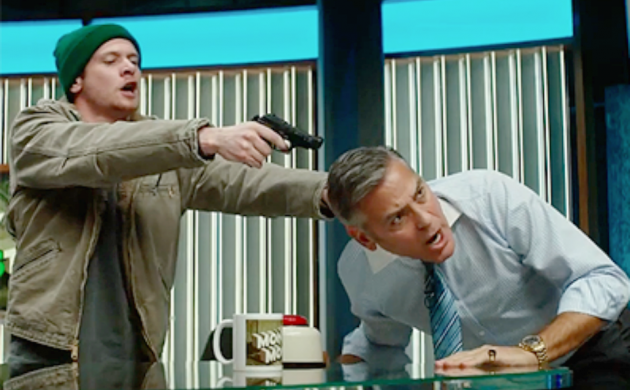 Money Monster is at times affecting, sporadically witty and skips along at an engaging pace – but it’s sloppy with its credibility.